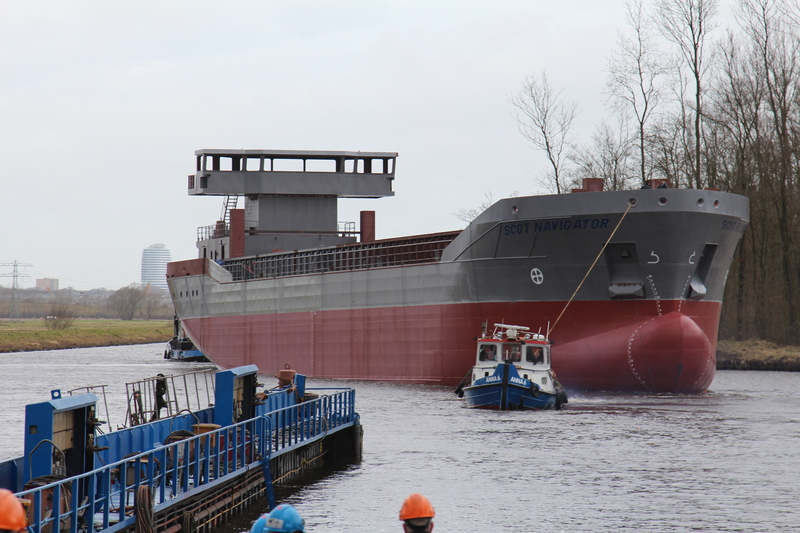 Scotline are pleased to announce the launch of the Scot Navigator from the GS Yard B.V. in Groningen. She will become the 10th vessel in the Scotline fleet. 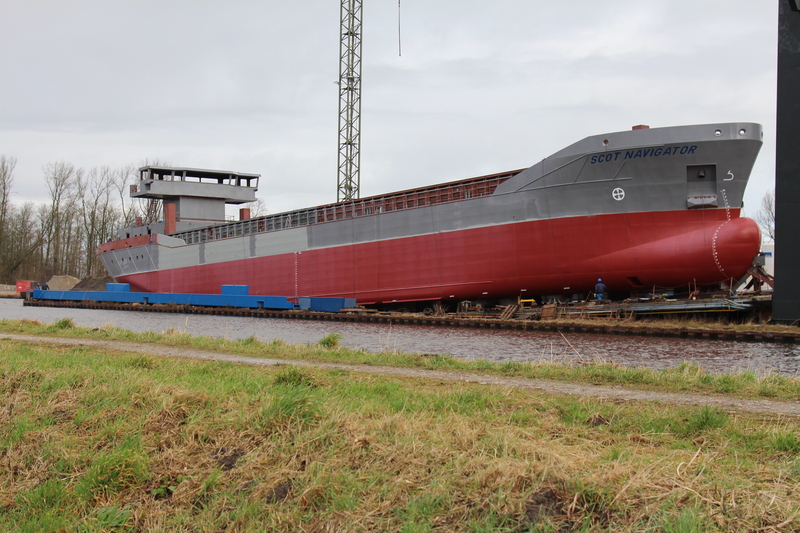 On Wednesday the 22nd February 2017 the Scot Navigator was launched at the GS Yard B.V. in Groningen. She has a modern, efficient design which makes her the ideal acquisition for our expanding fleet, whilst being built to comply with all the latest legislation including provisions for ballast water treatment. The Scot Navigator will have a length of 88 metres, a beam of 13.75 metres and a maximum sailing draught of 4.90 metres. This will give her a timber-fitted capacity of about 5,500 cubic metres. She will be powered by a Caterpillar engine and will be sailing under the British flag like the rest of the Scotline fleet. We expect her to be fully operational and delivered in May 2017.